Carnival Vista is one of 2016’s coolest new cruise ships, and thanks to a team of bright young minds at St. Jude Children’s Research Hospital, the ship just got even sweeter. As part of an ice cream party held at the Tennessee children’s hospital fresh faced patients were asked to sample a trio of ice cream flavours. All were cherry picked by Carnival’s Facebook fans as part of a social media competition launched by the line. Brownie Buoy crowned the winner! Ultra-chocolatey Brownie Buoy was the runaway favourite, tantalising tastebuds with its chocolate base peppered with chewy brownie bits, sticky fudge and gooey caramel. Yum! 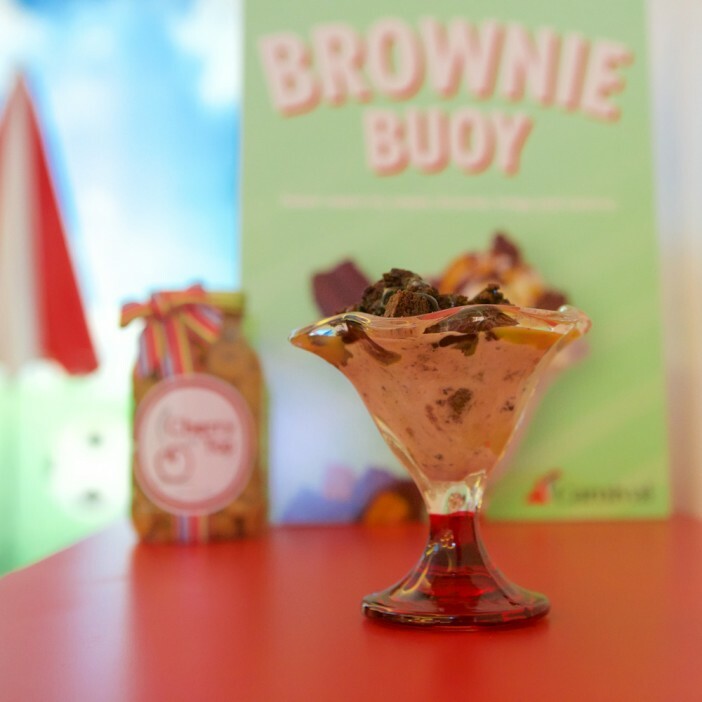 The flavour will make its grand appearance at Carnival Vista’s Cherry on Top ice creamery, a specialty store scooping up an array of made to order treats. As well as enjoying a delicious on-board indulgence passengers will also be helping sick kids when they purchase a Brownie Buoy scoop. Proceeds from each sale will benefit the hospital as part of the line’s ongoing partnership with St. Jude. In 2013 Carnival was names the hospital’s Official Celebration Partner and has pledged to help raise US$8 million by 2017. The cash will be used to cover treatment bills, travel expenses, housing, food and other costs incurred by families dealing with the heartbreak of sick little ones. Carnival is one of the industry’s most family friendly lines and its latest vessel lives up to its playful reputation. As well as the Cherry on Top confection store Carnival Vista will feature a kaleidoscope of other exciting on-board experiences including the industry’s very first IMAX Theatre, the suspended SkyRide cycling ride and a 455-foot-long Kaleid-o-Slide that’s guaranteed to thrill adrenalin junkies of all ages!